Calculations at a Rectangle. 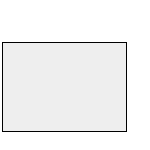 A rectangle is a quadrilateral with four right angles. 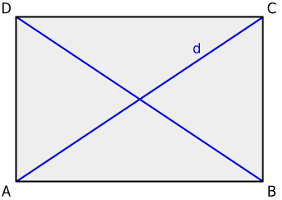 The opposite sides are parallel and of equal length. Enter the two side lengths and choose the number of decimal places. 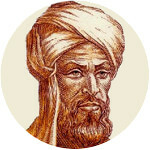 Then click Calculate. Side lengths, diagonal and perimeter have the same unit (e.g. 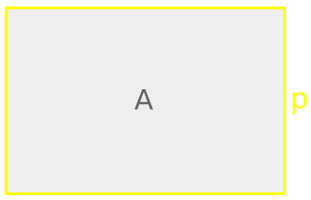 meter), the area has this unit squared (e.g. square meter). 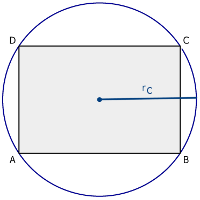 Diagonals and median lines meet in one point, this is the circumcircle center and the centroid. To this, the rectangle is point symmetric and rotationally symmetric at a rotation of 180° or multiples of this. 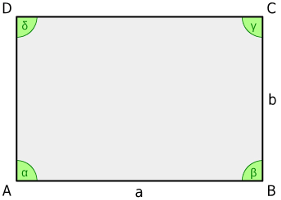 Furthermore, the rectangle is axially symmetric to the median lines. 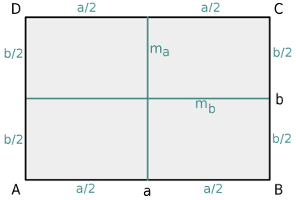 The lengths of the median lines are equal to the lengths of the according parallel sides.